Justin Sullivan / GettyFormer Nokia CEO Stephen Elop. Over the years, there’s been a lot of anxiety over whether or not Microsoft should sell off business units like Xbox and Bing, seen as secondary to the tech titan’s profitable Windows and Office businesses. And despite the Xbox’s high level of brand recognition and popularity, Microsoft executives themselves haven’t always stood up for the gaming business. 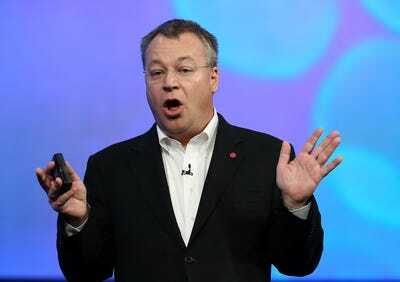 If former Nokia CEO Stephen Elop had gotten the Microsoft CEO job, he reportedly would have sold off Xbox, and Bing search, too. Worse, in 2014, Bill Gates said that he would “absolutely” support then-new Microsoft CEO Satya Nadella if he chose to sell off Xbox. Two months later, Nadella himself said that the Xbox was “non-core” to Microsoft’s business. It’s a good thing that Microsoft didn’t go through with it, at any point. Because while it’s definitely been a tumultous few years, the Xbox business is finally poised to help feed back into Microsoft’s core business after all, even as the console converges with Windows 10. It won’t be easy, but the payoffs include a big boost to Microsoft’s efforts to get Windows 10 everywhere — and bolster its own app store. At this week’s E3 gaming mega-event, Microsoft announced the Xbox Play Anywhere initiative. 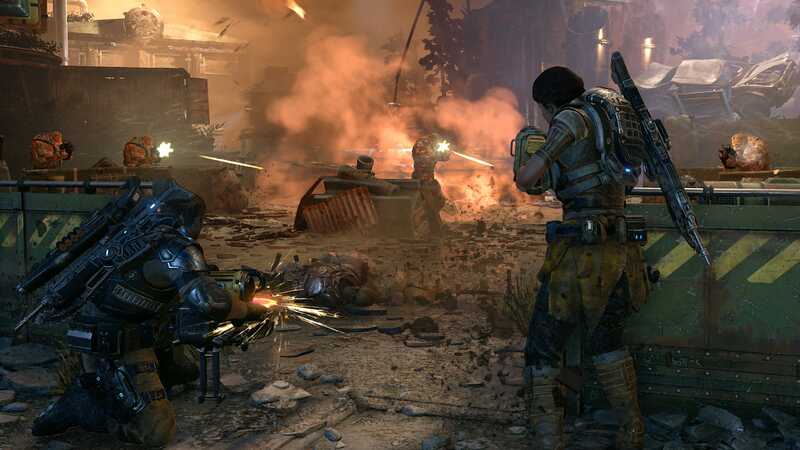 A whole slew of high-profile games, notably the highly-anticipated shooter “Gears of War 4,” will be available on both Windows 10 and Xbox One. Buy a copy for one, get it free on the other, with synced-up save games. It’s a good thing for consumers. There are only 20 million Xbox One consoles in the world, by analyst estimates, but there are 300 million-plus Windows 10 devices out there and counting. So if you have both, you get some extra flexibility. Even if all you have is the PC, though, then boom, there are a lot more great games coming. Having more games on the Windows Store in Windows 10 is also a good thing for Microsoft, as it looks to beef up its its lagging app selection compared to the Apple App Store and Google Play Market. Games, needless to say, are popular on every platform — at the time of writing, four of the top five highest-grossing games on the iPhone App Store are games (the fifth is Spotify, holding the #1 spot). Games make app store operators a lot of money: Apple, Microsoft, and Google all take a 30% cut of app purchase prices and in-app purchases. But according to Statista, the average price of an app circa January 2016 is just $1.16, with the average price of a game a measly$0.57. But, and this is important, the MSRP on a new Xbox game on release day is $59.99, both in retail stores and digitally. Now, with more Xbox games slated to hit the Windows Store on Windows 10…well, 30% of $59.99 is just shy of $18. Furthermore, even big-budget, $59.99-at-launch games like “Rise of the Tomb Raider” are offering in-app purchases, of which Microsoft can take a cut. 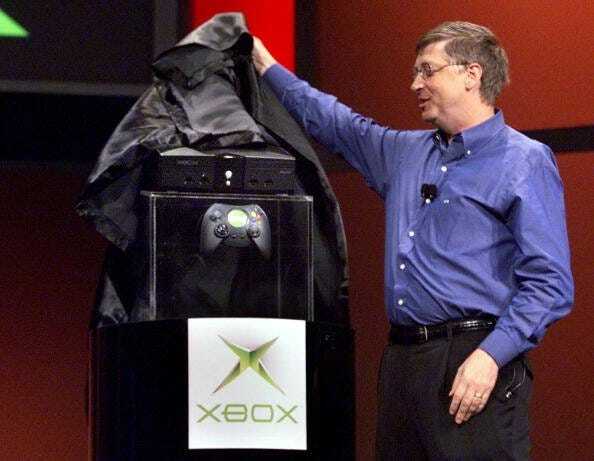 AFP PHOTO/Jeff ChristensenBill Gates unveils the original Xbox at the 2001 Consumer Electronics Show in Las Vegas, Nevada. Better yet for Microsoft, it publishes top game franchises like Halo, Forza Motorsport, and Gears of War, all of which are coming to Windows 10 in one form or another. That means they won’t be showing up on competing PC platforms like the Mac, or rival consoles like the Sony PlayStation 4. It’s an advantage that’s hard to match, and it can bring gamers to Windows 10 while also monetizing them. Finally, Microsoft also offers Xbox Live Gold, a $59.99/year premium gaming service that enables online multiplayer gaming on the Xbox consoles, alongside other benefits. It slots right in to Microsoft’s broader ambition to sell more subscriptions, notably seen in its success selling the Microsoft Office 365 productivity service. Selling the Xbox Live service to Windows 10 users will be tough, but not impossible — the subscription also includes access to “free” games every month on the Xbox, and it’s not hard to see how that could be expanded to PC owners. This isn’t necessarily good news for everyone: Apple’s App Store has seen some backlash over what Spotify calls the “Apple Tax,” as developers resent the notion of giving App Store owners any portion of their hard-earned revenue. And it remains to be seen if gamers will embrace this blending of the Xbox and Windows 10 ecosystems. So it’s a big, ambitious, risky bet. But the potential payoffs are huge, as Xbox games could both drive people towards Windows 10 and help Microsoft capitalise fully on the Windows Store. If Microsoft had sold Xbox off, it’s a bet that wouldn’t have even been possible. Oh, and about Bing: That worked out ok, too. Thanks in large part to Windows 10 and the Cortana digital assistant, Bing has finally become a profitable business.